A question that I get a lot from my clients is “How do you shave?â€. Most people prefer to use wax strips because they are easy to use. For me, I prefer to use razors because they are less painful (If you use them the right way). It’s important for me to point out that your hair will not grow out thicker or faster by using a razor. This is simply a misconception that most people have. When you shave your hair, the blade of your razor leaves your hair with a blunt tip. As the tip grows out, it feels more course. However, it is not “thicker”. With that in mind, using a razor for shaving is one of the easiest and painless ways to ensure that your skin stays smooth. Shaving creams and gels often contain many harmful ingredients like Triethanolamine (TEA), Diethanolamine (DEA) and Monoethanolamine (MEA) which are linked to hormone disruptions. To make matters worse, these ingredients can easily be absorbed into the skin. In addition, I often avoid shaving products with â€œfragranceâ€ because I simply donâ€™t know what they used to create the scent. If you are looking for a natural product that protects and smooths your skin before and after shaving, I highly recommend using jojoba oil. 1) Clean Area That You Want to Shave – Use your regular cleanser here. Make sure that you clean off any excess oil, dirt or grease. 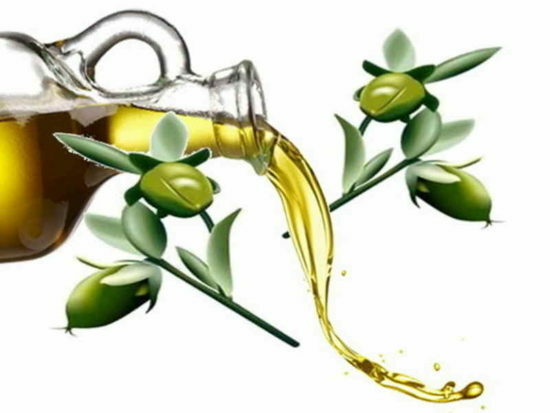 2) Apply Diluted Jojoba Oil â€“ Apply jojoba oil on the area that you want to shave. Let the oil soak in for about 15 minutes. The Jojoba oil will soften your skin and create a smooth surface for your razor to glide. 3) Apply Organic Shaving Cream and Shave â€“ Your safest bet is to use an organic shaving cream. This ensures that no harmful ingredients will be absorbed into your skin during the shaving process. Organic shaving creams are a bit more expensive, but you will definitely feel the difference after the shave. Apply shaving cream on the area that you want to shave and ensure that you cover all areas needed. 4) Shave with Clean and Sharp Razor â€“ Minimize the drag by using a clean and sharp razor, this combined with jojoba oil pretty much eliminates any chances of razor burn. You will find that shaving this way requires very little effort. 5) Clean shaved area and apply moisturizer â€“ Rinse shaved area with cold water and apply an organic moisturizer. Enjoy your newly shaved and beautiful skin! I hope that my tips for using jojoba oil for shaving are useful to you. I have been using this method for a few years and I have never had a razor burn since I started adding jojoba oil in my shaving routine. I highly recommend this method! Thanks for reading my article! Happy shaving! Sandy Taylor is a Professional Makeup Artist currently working in Vancouver BC, Canada. She has over 10 years of experience in the makeup industry. Sandy is currently the editor at her websiteÂ www.foundationfairy.com. Her website is a place where she shares her favorite makeup tips and tricks. She loves teaching others about makeup and writing about the latest makeup trends.